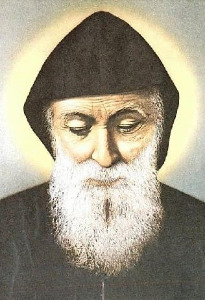 St. Charbel Shrine Restoration Project! Now Accepting Donations! Monthly Mass and Prayer Services offered for your intentions on the 22nd of each month, 7 pm at St. John Maron Church. (date change will be announced if it falls on a Saturday or a Holiday). Shrine Restoration Donations accepted through the rectory, dropped with the regular mass collection in labeled envelope, collection box at the Shrine. Thank You for your support and May God bless you!